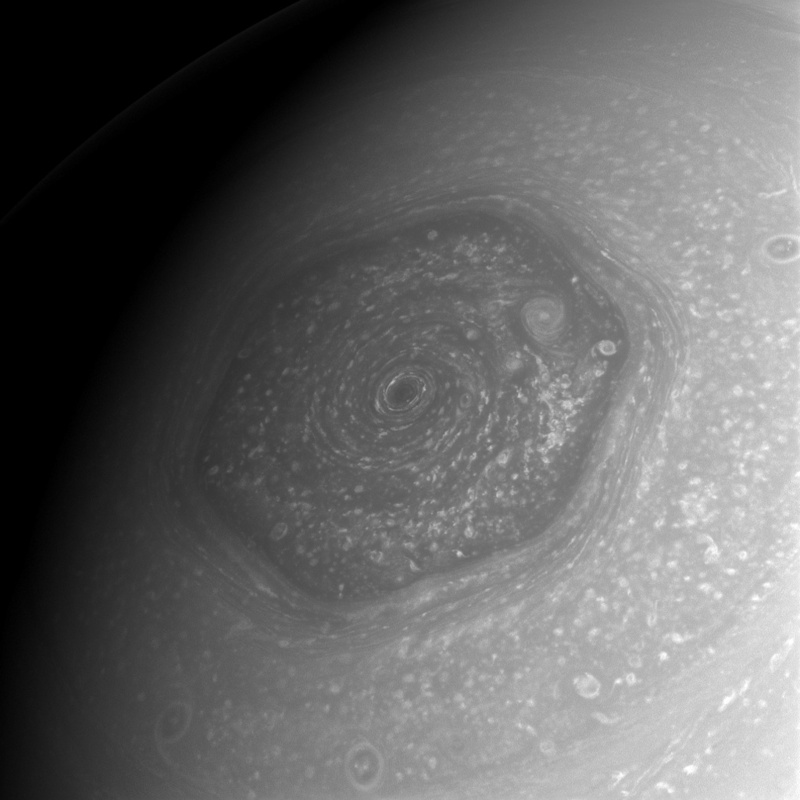 First discovered by the Pioneer mission in the late 1970’s, and later pursued by the Cassini Spacecraft, giant storms at the north pole of Saturn surprised scientists the world over. The magnitude of the storms were greater than anything seen on Earth and recurred every twenty to thirty years. The advancement of science and technology gets scientists closer to understanding the atmosphere and weather on Saturn. Four missions have been completed with the intent to share information about Saturn. These missions have been crucial to bettering our understanding of the planet, and in turn, the better understanding of the wild storms on Saturn. With the completion of the Cassini Mission, scientists are closer to knowing why and how these storms occur, and the atmospheric conditions overall. With our research, we hope to be able to answer the question; what kind of missions have given us the current information we have on Saturn and what can they tell us about the atmosphere and storms there? The history of Saturn dates all the way back to Ancient Greek and Roman times, where it was observed in the night sky and shrouded in mystery with the other planets observable by the naked eye. 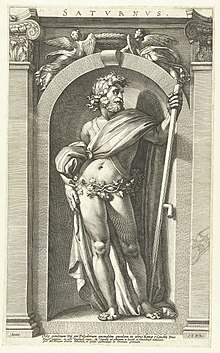 The celestial body was named after Saturn, the Roman god of agriculture who was known to the Greeks as Cronus, father of Zeus . 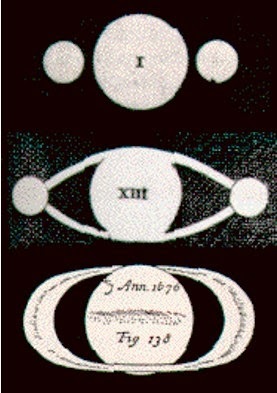 The first person to identify the rings was Christiaan Huygens in 1655, which was discovered alongside its first known moon, Titan. 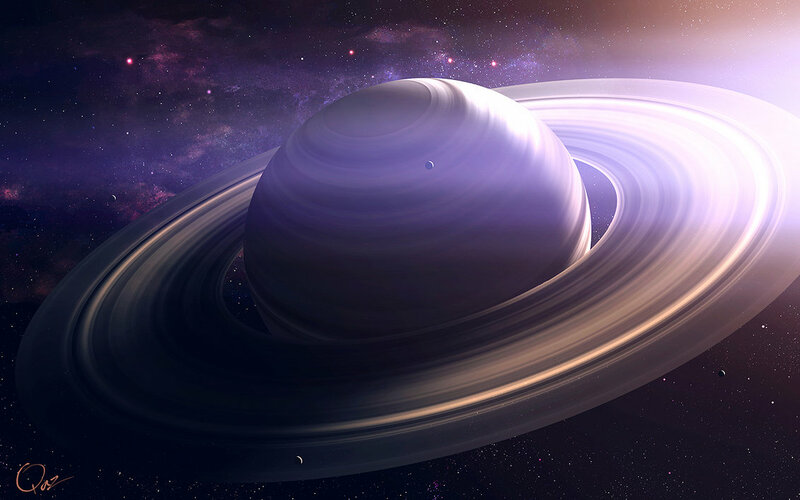 With 62 moons and over 30 rings, Saturn is the second largest planet in our solar system, nine times the size of Earth . Like Jupiter, Saturn is a gas giant and has a density less than that of water. A year on Saturn is equivalent to 29.4 Earth years, and a full day’s rotation occurs every 10.7 Earth hours. The average temperature of Saturn is -177.8 °C (95.35 °K) . As a result of hundreds of years of scientific exploration, a lot of the mysteries of Saturn has been now revealed to us on Earth. One of these mysteries that has fascinated scientists since its discovery is the storms, which are much more aggressive yet similar to Earth’s. Moving forward, we will be discussing these storms and the mechanisms scientists have used to study them. According to the NASA Space Science Data Archive, the Pioneer 11 functioned as follows: “The spacecraft was 2.9 m long and contained a 2.74-m diameter high-gain antenna of aluminum honeycomb sandwich material whose feed was topped with a medium-gain antenna. A low-gain, omnidirectional antenna was mounted below the high-gain dish. The spacecraft contained two nuclear electric-power generators, which generated 144 W at Jupiter, but decreased to 100 W at Saturn. There were three reference sensors: a star (Canopus) sensor, and two sun sensors. Attitude position could be calculated from the reference direction to the earth and the sun, with the known direction to Canopus as backup. Pioneer 11’s star sensor gain and threshold settings were modified, based on experience gained from the settings used on Pioneer 10. Three pairs of rocket thrusters provided spin-axis control (maintained at 4.8 rpm) and change of the spacecraft velocity. The thrusters could be either fired steadily or pulsed, by command” . Upon its launch on September 5th, 1977, Voyager 1 had the luck of a perfect alignment with the planets and it was able to use gravity assist from the planets, swinging between the planets without much need of a external propositional system. With this occurrence, Voyager 1 was able to arrive at Saturn on November 12th 1980, making Voyager 1 the second spacecraft to fly-by Saturn. The main mission was to discover new facts about Saturn’s rings and the moons that revolve around Saturn. However, it was also discovered that Saturn’s upper atmosphere is composed of 7% helium and the rest mostly made up of hydrogen. Scientists inferred that because of Saturn’s atmospheric composition, Saturn radiates more heat than what it receives from the Sun. The lower amount of helium may suggest that it is sinking through the hydrogen, which in turn may explain the excess amount of energy received from the Sun as the hydrogen atoms absorb the energy from the Sun. As well as discovering these facts, it was able to send back hi-resolution photos of Saturn, its rings,and the satellites that orbit around it. 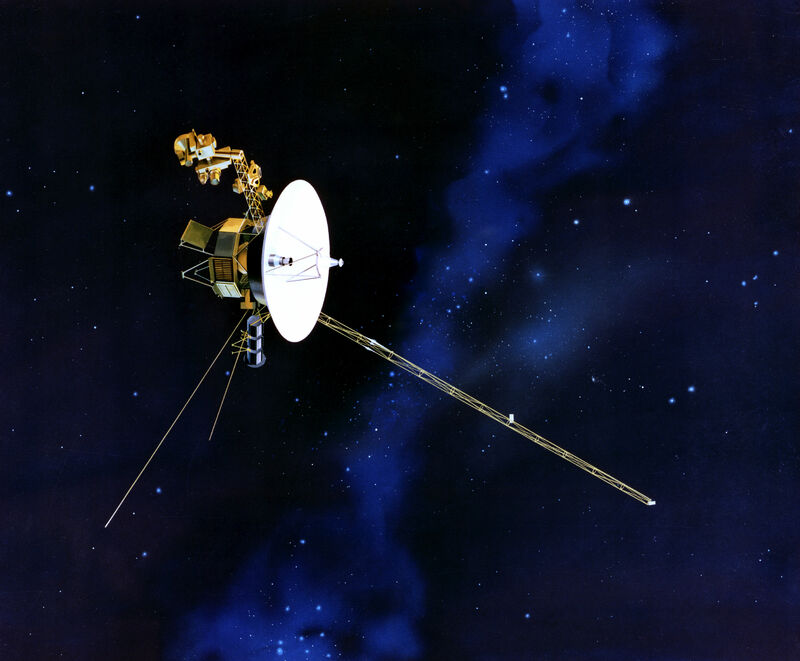 After orbiting Saturn for a period of 32 years, Voyager 1 was still in orbit and entered interstellar space and became the most distant manmade object to be in space. Although the original plan was for both Voyager missions to explore the exterior planets, scientists had their fingers crossed that they would last long enough to explore the space where our star, the Sun, no longer lit the space. An article by Andrew Grant explains where the Voyager missions were hoped to go; “the sun unleashes a flood of hot, charged particles called plasma that jets out in all directions. The plasma forms a bubble called the heliosphere that is tens of billions of kilometers in diameter. Over the last decade, the solar plasma around Voyager 1 has thinned as the spacecraft hurtles toward the edge of the bubble at more than 60,000 kilometers per hour. Astronomers have been waiting for Voyager to cross this boundary — the heliopause, where solar particles give way to even speedier particles ejected by other stars — and enter interstellar space” . 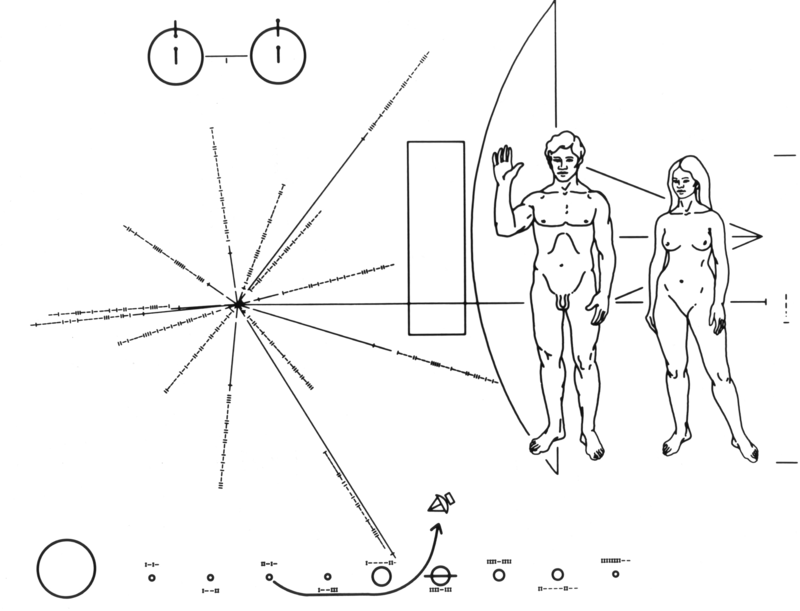 On August 25, 2012, the Voyager 1 did just that, and it was a huge celebration for scientists. 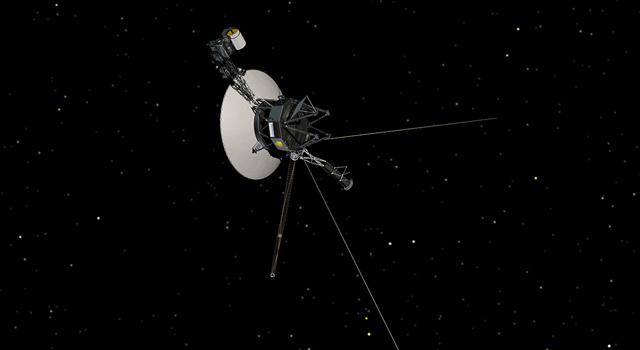 At the time, the spacecraft had enough fuel to last an estimated 7 more years, giving scientists faith that it would send back new information concerning the deeper space. The Voyager 1 gave valuable information regarding Saturn and interstellar space, that will help future generations of scientists learn more about our solar system as a whole. Upon its launch from Earth on October 15th, 1997, Cassini was in orbit for nearly 20 years, and 13 of those years would be spent orbiting Saturn. After entering Saturn’s orbit several years later it was able to discover such things as the composition and temperature of Saturn’s upper atmosphere and watched the change of the seasons occurring there. In the following paragraphs, we will further discuss the up-close observations of Saturn’s exotic storms and jet streams, which cannot be detected from Earth. 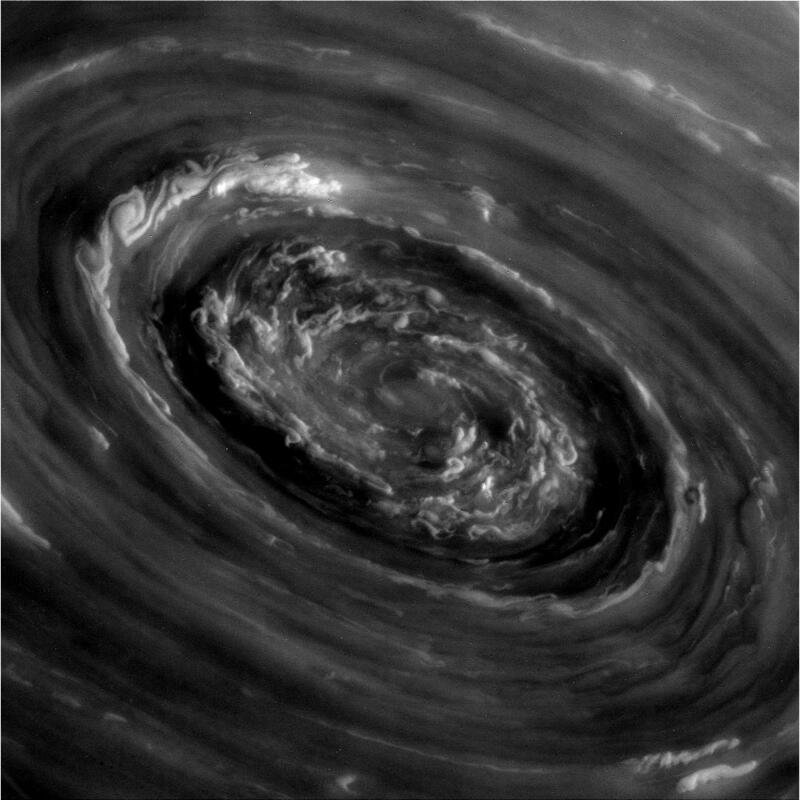 For the duration of 2010, Cassini was in a great position around Saturn’s orbit to observe a storm of gigantic proportions. During the months of observation, the storm grew to encircle the planet with a swirling band. With this storm engulfing the northern hemisphere, the largest temperature increases for the planet were recorded, and molecules never detected before in Saturn’s atmosphere were observed . Cassini was the first spacecraft to accomplish an up-close observation of Saturn’s storms which cannot be viewed from Earth. Similar to Earth with the presence of jet streams (strong air currents encircling a planet), Saturn’s most famous and biggest jet stream is called the Hexagon. Cassini had begun to observe this jet stream during the winter season in the northern hemisphere, and by using an infrared sensor it was able to determine that it was a six sided jet stream coming from the planet. Eventually after the winter season passed, it was observed that the hexagon is approximately 30,000 km across, and had winds reaching up to 322 km per hour . Since Saturn has no obstacles like the Earth does which disrupts a jet streams path, it is able to flow with no interruptions to its hexagonal path along the northern hemisphere. Approximately every 20 to 30 Earth years, Saturn has a magnificent storm that takes place known as the “great white storm”. As stated previously, the last observed mega storm took place in 2010. This event lasted for nearly two thirds of an Earth year, and completely wrapped around the planet, spanning approximately 300,000 km in diameter. For this event to occur again, it takes approximately 30 years for the conditions to be just right. The requirements of this storm include water vapors as well as other materials being brought above cloud level. As the vapor is rising to and above the clouds it freezes on its way up causing the storm to appear white. While we have accumulated a vast wealth of knowledge about Saturn, it is not enough for us to consider ourselves in perfect understanding of the planet. So many interesting findings have provided us with a strong basis for what goes on with the planet, but there is still so much more to learn. Science has come so far from the days of Roman and Greek mythology, and early theories by Galileo. The Pioneer 11 mission opened a door for us to begin studying Saturn, Voyager 1 gave us very interesting knowledge on Saturn’s rings and moons, and Voyager 2 filled in the gaps that were missing from that mission. Cassini gave us our largest wealth of knowledge yet, especially in regard to the interesting atmosphere and exciting storms there. From these missions, we can only hope to learn more about Saturn, and expect more missions to Saturn in the future.